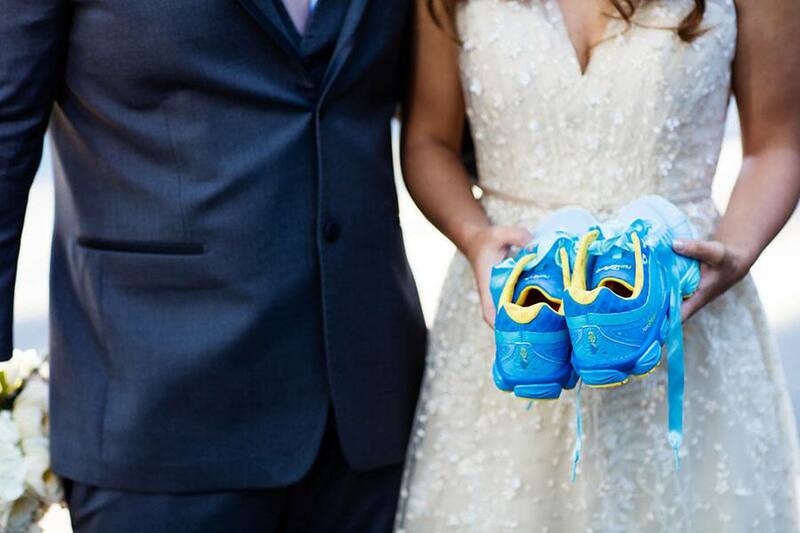 Many of our couples love to participate in runDisney events. Whether they are casual runners or serious marathoners, there is nothing quite like running a Disney race. 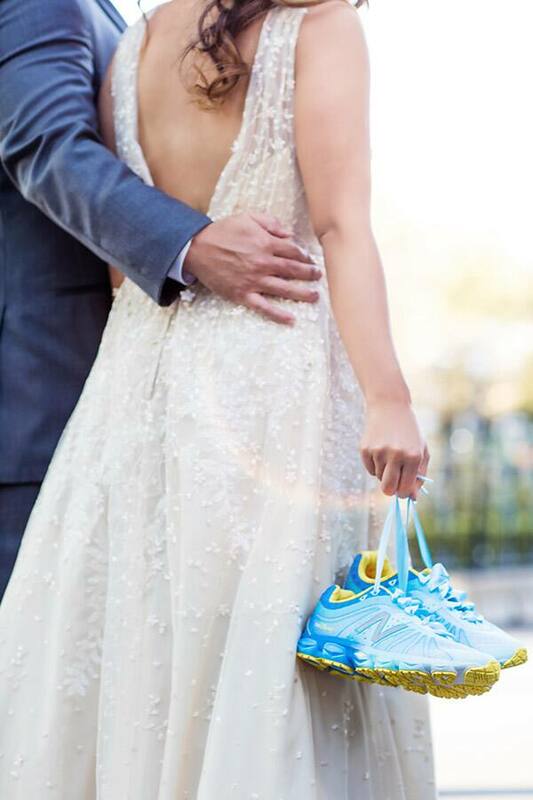 In honor of the upcoming Walt Disney World Marathon Weekend, check out this bride who incorporated her love for runDisney on her wedding day. Kristen and Kai both enjoy participating in the events and plan to do so for as long as they can. 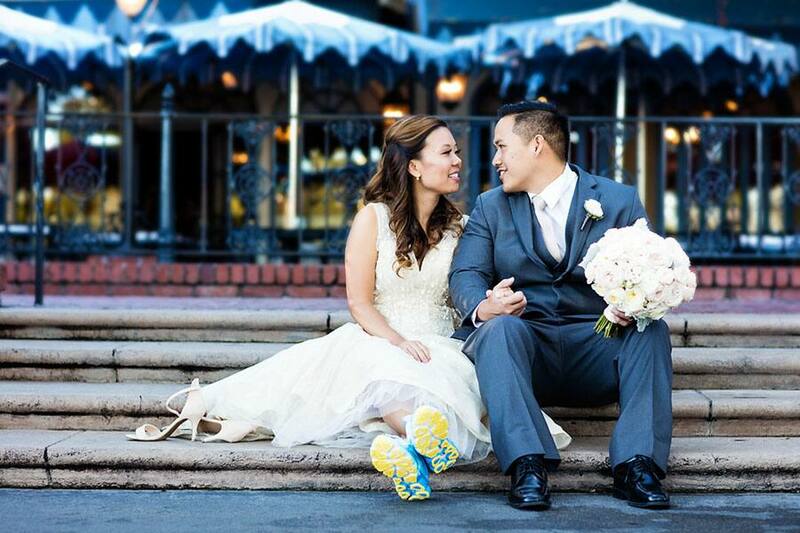 It was actually the Disneyland half marathon that sparked the idea for their Disneyland wedding. 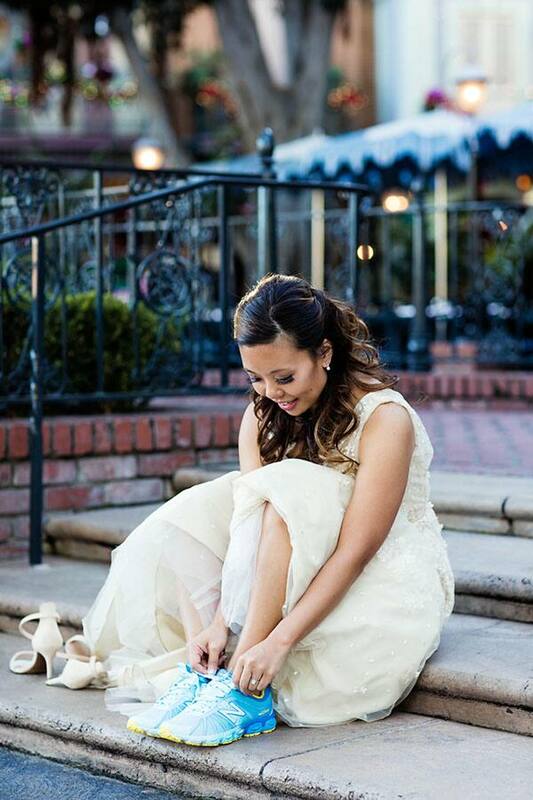 The couple flew in for the race, and while on their trip, they met with the Disney's Fairy Tale Weddings team. The couple toured some of the venues and knew it was meant to be. 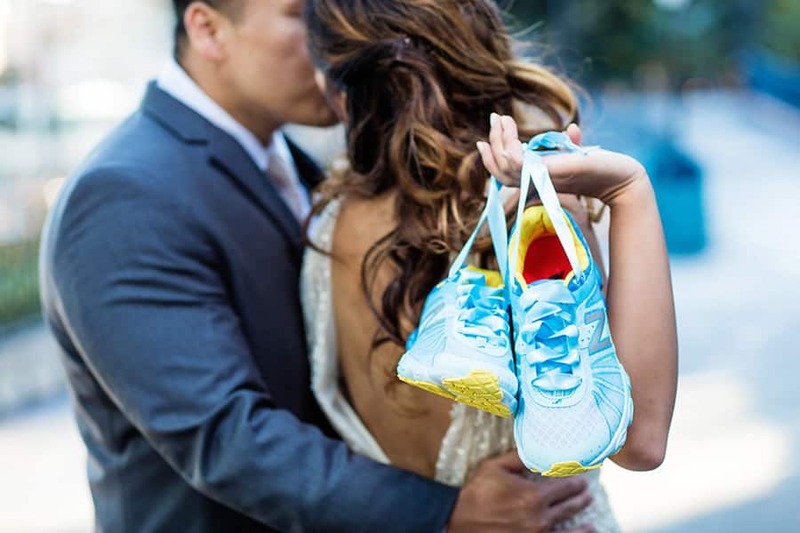 As a throwback to the moment that led them there, Kristen rocked her runDisney Cinderella New Balance's at her portrait session in the park. Be sure to check back this Friday to see this couple's full story!